Remember, my giveaway for the Twine Star Ornament ends this Friday! Only one person has entered, so your chances of winning are pretty darn good. her ornament in the mail! I am going to attempt to give you some ideas that you can use for your neighbor gifts this Christmas. I don't know about you, but for some reason I always stress about these gifts. I want them to be just perfect, packaged perfect, and I especially don't want to leave anyone out. I also can't afford to spend a lot of money on neighbor gifts, so it can be quite challenging to come up with "the perfect gift". So, if you're stressing about those little gifts, or just want to get them done early this year (good for you, I say!) , I hope that these posts will help you out! I thought I would make this into a little mini series and focus on different things each day. Today, I want to focus on gifts you can give in jars. I recently went to another ward's Super Saturday and took a class on jars, and how to present different items in jars. It was such a fun class and was taught by the sweetest lady named Leigh Anne, who is the fabulous author of Your Home Based Mom. You can pretty much take anything, stick it in a beautiful jar, and you've got yourself a lovely little Christmas gift. If you want to check out a little of what Leigh Anne taught us, then you can go here. 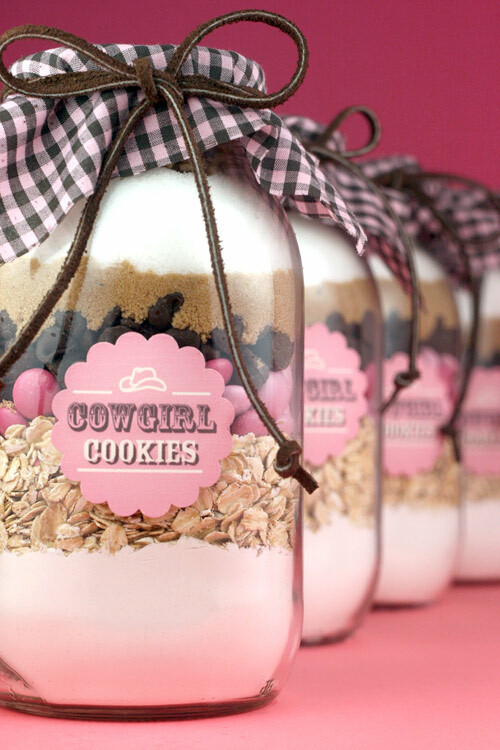 What I love about giving gifts in jars, is that you can use any type of jar. I have recently started saving all my salsa jars, jelly jars, pickle jars, and anything that my family eats that comes in a jar. and I've got myself a great container! If you're worried about how the lids look, you simply spray paint them! Click here to find the recipe. *Dress the jar up a bit! 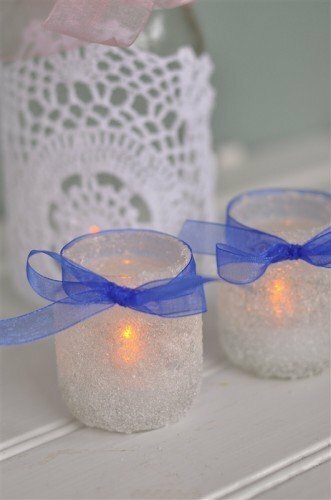 You can spray paint the lid, but material over the lid, wrap a bow around the jar, stick a label on the jar... just make it pretty! *If you're giving a mix away, don't forget to type up the recipe! 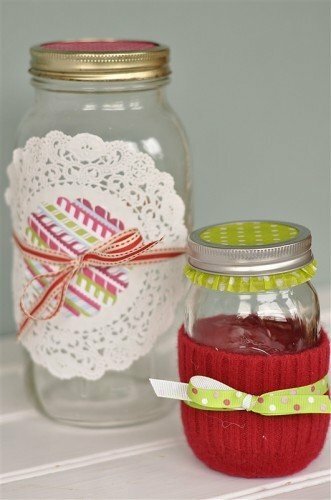 You can attach it to the jar by using some twine or ribbon. rather than just sticking them in the jar! Or you can simply tape a doily on, and tie a ribbon around it. when they receive a gift that someone actually took time to package nicely. or you can even go buy a box of brownie mix, dump it in the jar, and call it good! Trust me, it becomes more than just a mix when it's packaged nicely! I hope some of this helps... stay tuned for some other ideas I have on neighbor gifts! 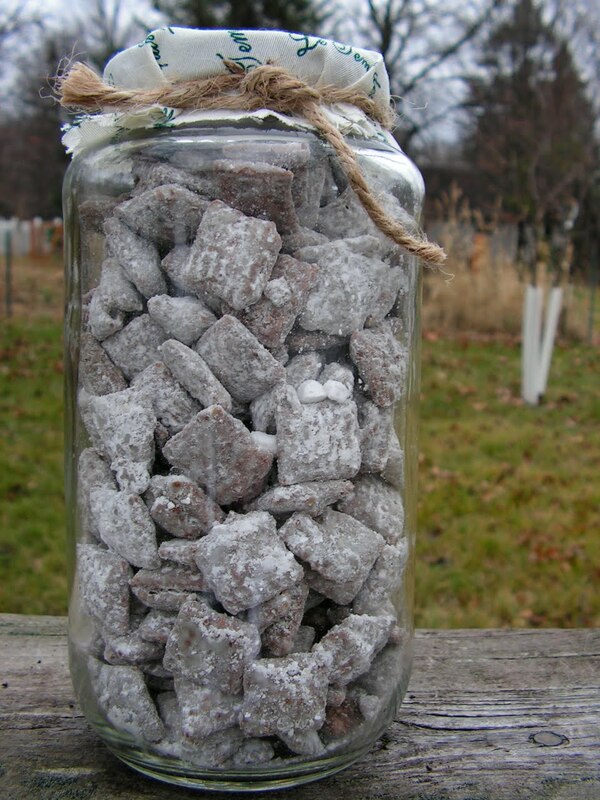 Love all these jar ideas! I can't wait to see the rest of this series!! Yay - thanks for doing my requested posts! :) I've been a little behind on my blog checking, so unfortunately I missed the chance to win your adorable ornament... So excited to see what else you post on - cute, cute jars!